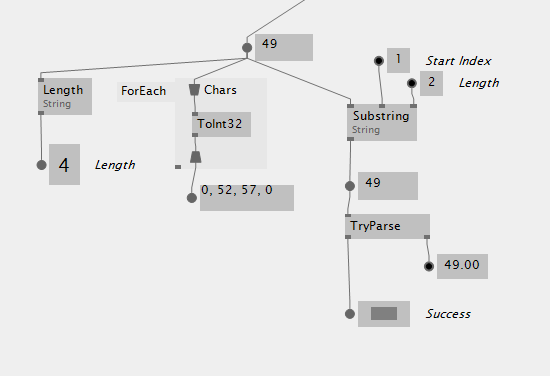 i´m trying to parse some csv files and i can see the parsed strings in vvvv, but somehow the Spread/Spread/String is just visible but not working in vl side. I see it now, thanks man. 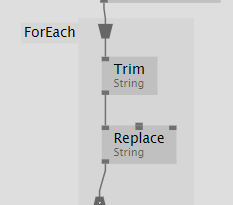 you should use the string version, not the character version of replace. you are not replacing with ‘no character’ but with the ‘zero character’. the string version accepts an empty string as replacement, which is no characters. Thank you Tonfilm, now it´s working but i´ll try the Exel to XDocument way.